Aaron Reed is an award-winning outdoor writer and Army veteran. 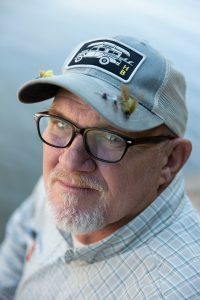 He currently splits his time between his native Texas Gulf coast, where he drives a tugboat, and his home near the banks of the San Gabriel River in Georgetown, Texas. When he is not working, chances are you can find him knee-deep in a stream somewhere around Austin, often with his wife and one or more of his three boys, trying like heck to become a better fly fisherman. 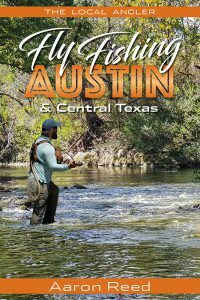 The Local Angler Fly Fishing Austin and Central Texas will be released by Imbrifex Books in March 2020. A party to celebrate its publication will be held at a fly fishing hang-out in the greater Austin area on March 3, 2020. Drinks and gourmet hors d’oeuvres will be served. All are welcome. More information about the launch party and pre-order information will be available soon.